A tea variety from a garden in Arunachal Pradesh was auctioned at the Guwahati Tea Auction Centre (GTAC) on Thursday at Rs 40,000 per kg and broke the record created by an Assam Tea variety auctioned a month earlier. In July, an Assam tea variety scripted history after being sold at Rs 39,001 per kg at an auction — a price that the GTAC had then claimed to be the highest across the world. A report published in the The Indian Express quoted Dinesh Bihani, Secretary of the Guwahati Tea Auction Buyers Association, as saying that a 1.1 kg lot of Golden Needle from Arunachal Pradesh’s Donyi Polo Tea Estate was sold at Rs 40,000 per kg to Assam Tea Traders, one of the oldest tea shops in Guwahati. It may be recalled that few weeks earlier, the Gold Special Grade tea (read produced by Manohari Tea Estate in Dibrugarh district of Assam) fetched a record Rs 39,001 at the auctions in Guwahati and it not only stirred the market but had also caught the Chief Minister of Assam, Sarbananda Sonowal’s attention, who wanted to taste the ‘golden brew’. 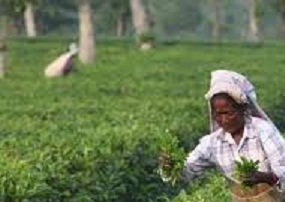 The record price had left both the tea industry and Dispur “overwhelmed” with the Additional Chief Secretary (Industries and Commerce) Ravi Capoor saying that the record price fetched by Gold Special grade was a good sign for the Assam tea industry. “It shows planters are taking interest in making high value tea,” he added. An official at GTAC, which has, of late, become a hub for speciality tea, had said that excellent tea sold through the auction centre would encourage others to sell their tea through the centre.